This is the video which is going mega, mega viral at the minute and for all the right reasons. 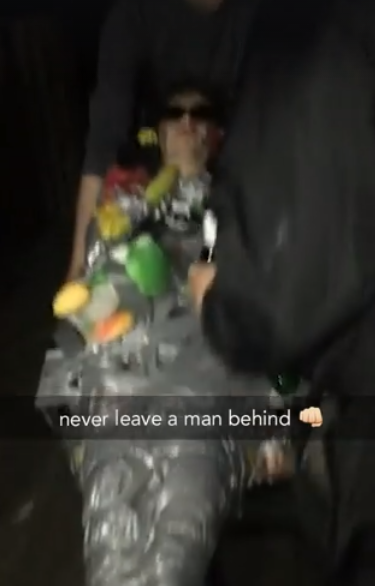 Captioned ‘never leave a man behind’, the hilarious clip was posted onto Facebook last night by user Matty Crawford, and captures the antics of one solid group of friends and their drunk acquaintance who’s had that one beer too many at the pre-drinks. 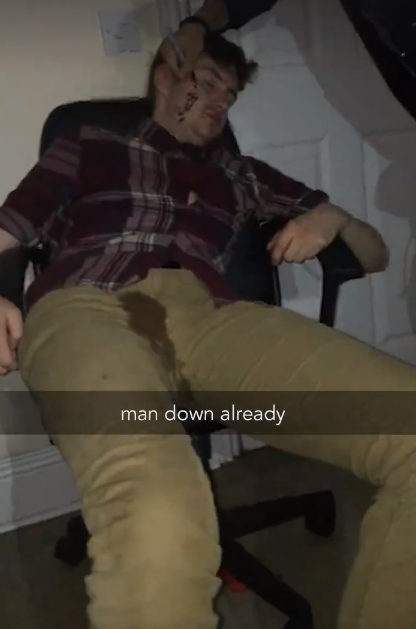 The Snapchat video starts with the title, ‘man down already’, and shows one trooper in a drunken daze with what appears to be a trickle of piss down his trouser leg. So far, nothing special – just a typical night out I guess, but what happens next is utterly hysterical. The group of mates, who should definitely get an award for their comradery in this situation, proceed to gaffer tape their sleepy friend to a spinny chair and stick a pair of stylish sunglasses over his eyes. Scott is known for passing out at pre’s, it’s his thing. But honestly it was supposed to be a quiet night as its deadline season – but when the opportunity is there and you knew Scott. Yeah we had to. The response we’ve gotten so far has been pretty amazing. The following minute documents the rest of their drunken antics such as getting their comatose companion a burger and chips (placing a few fries in his gob for good measure), wheeling him across a busy street, and taking him to the local. 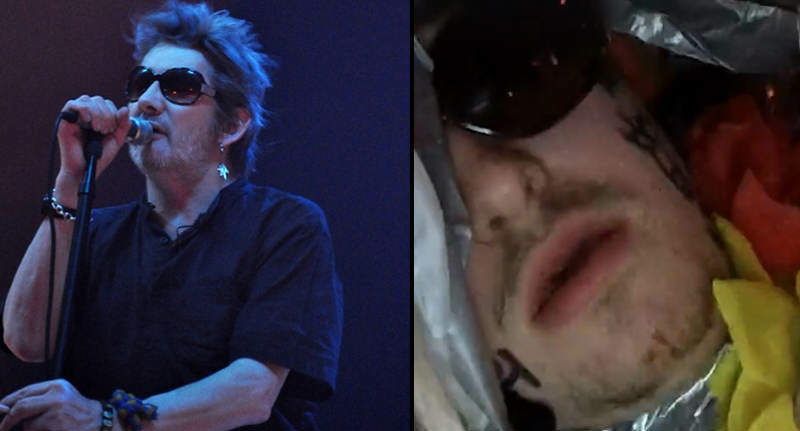 But the real climax of the video comes when they push their treasured friend into the club as All By Myself booms from the speakers which he seems to sing like a sleepy Shane MacGowan.